“When I took this account over 10 months ago, I didn’t understand why the client seemed so distant. We had been cut back 2 years ago and never really recovered; I figured I could turn it around. If you recognize a little of your situation in Joe’s or Suzanne’s, then you’ve wondered about trust recovery. If trust is lost, can you ever get it back? Or are you doomed to just slink away in defeat? 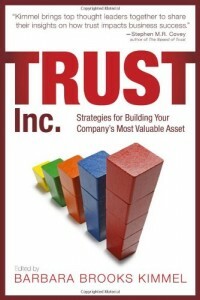 In this first part, I’ll describe how trust gets lost. In the second part, two days from now, I’ll describe the key to getting it back. You’ve heard the usual platitude: trust takes a long time to establish, but only a moment to destroy. In truth, that’s a mis-statement; two mis-statements, actually. First, trust does not necessarily take a long time to create. We form strong impressions of trustworthiness of others in nano-seconds, based on all kinds of information and biases. Second, trust isn’t necessarily destroyed in an instant; it took nearly a decade to destroy trust in Bernie Madoff–and he was a mega-crook! The better formulation is this: shallow trust can be destroyed quickly; deep trust takes a long time to die. Basically, what determines the time it takes to destroy trust is a function of quality–not of time itself. There are two ways in which trust gets lost. The first is an illusion. Suppose your ‘trust’ consists simply of the absence of mistrust. Perhaps it even consists of untrustworthy practices garbed in clever PR, good advertising and an aggressive marketing campaign that provides the appearance of trust.. If suddenly the curtain is drawn back and the public sees the ugly reality behind the machine, it may appear trust was lost. But all that was really lost was the fig-leaf of appearance. This was what happened to BP, whose safety record was obscured by a green advertising campaign until its comparative record was revealed by a horrible accident. This was Eliot Spitzer’s story too, when he lost the governorship of New York by using public money to secure prostitutes, while proselytizing against them. He didn’t lose trust–he lost plausible deniability. The trust was gone long ago. To recover from this kind of trust is possible, but it amounts to undergoing a conversion. The untrustworthy party cannot insist it was an accident—because it was the exact opposite of an accident. This kind of trust ‘loss’ is as good as planned. Trust recovery here requires massive underlying change. The second case is easier. Consider umpire Jim Joyce, who egregiously blew a call that cost a young pitcher the ultimate rare honor of a perfect game. "It was the biggest call of my career, and I kicked the [stuff] out of it," Joyce said, looking and sounding distraught as he paced in the umpires’ locker room. "I just cost that kid a perfect game." Did he recover trust? Before the very next day, Joyce had recovered the trust of the fans, the opposing team’s manager, and even pitcher Andre Galarraga. Note the error was egregious; and the recovery of trust took less than 24 hours. 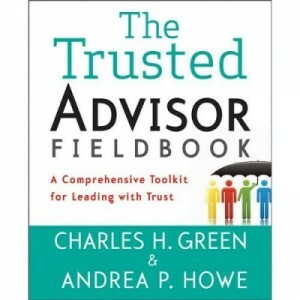 Check back in two days for Part II: the How To part of trust recovery–acknowledgment. The media can't grasp the essential anti-media message of the Rally for Sanity.